Earn Gas Gift Cards And Save At The Pump! You are here: Home / Sponsored / Earn Gas Gift Cards And Save At The Pump! I have told you about the Shell Fuel Rewards Network Program before and today I am excited because now you can earn Shell gift cards based on the amount of friends/family that sign up for the program! 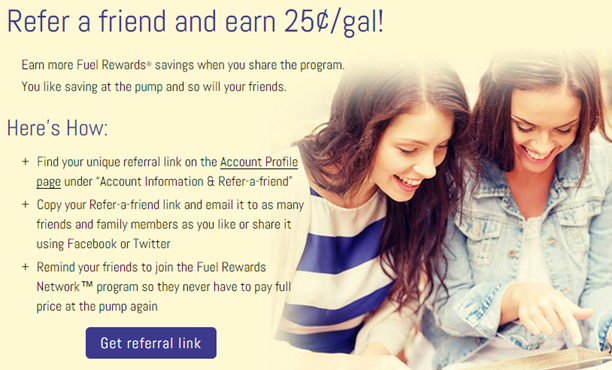 The Fuel Rewards Network Program this fall is here to help you save more at the pump with the special Refer-a-Friend promotion! PLUS, you get $0.25 off per gallon when they sign up and use it! So, get busy! You can save and earn all at the same time!